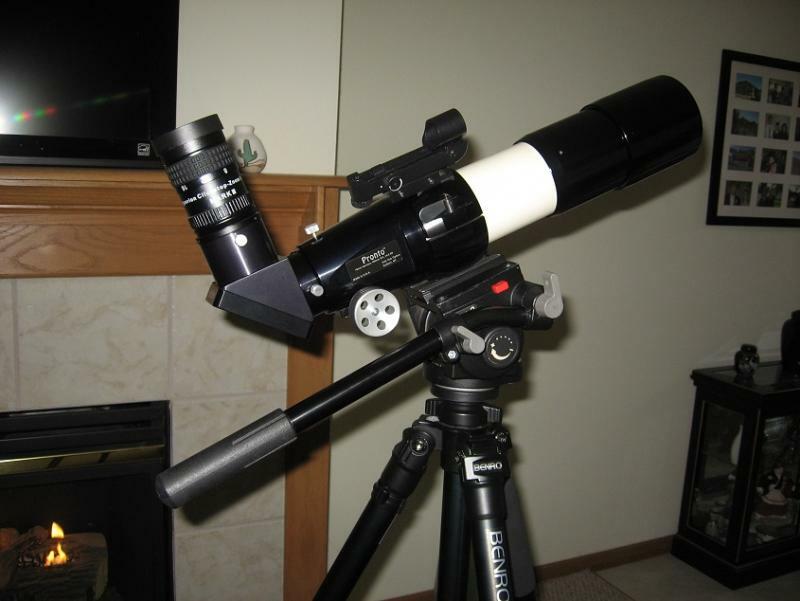 I'm going to be buying a small travel refractor (no more than 72mm, ~5 lbs or so), and I'm considering this mount. Has anyone tried this? It seems like a good option for a compact, lightweight, travel tripod with a useful head. I've read that the ball mount ones are terrible for scopes so I'm avoiding those. Edited by Peter A., 11 February 2019 - 07:58 PM. I am a big fan of video heads as you can see in my signature. I have not used a Manfrotto Beefree Live, however based on the specs I would suspect that it is going to struggle with the task. I see that it is rated for 8.8 lbs however from my experience most of these smaller video heads are designed for cameras so when you place a refractor on them which is longer they struggle to pan well vertically. They tend to either have a bounce at each end of the vertical movement or they drop down in the verticle at the end of travel unable to balance. In addition if your 72mm scope is around 5 lbs its total weight with diagonal, finder, eyepiece, etc. may be much higher. I use an older Manfrotto 503 with my 70mm TeleVue Pronto (about an 8 lb scope) and it handles it perfectly. This head is rated at 17 lb payload capacity. I purchased this Manfrotto years ago on the used market for about $100. I have also owned several newer Manfrotto mounts and the quality of the newer ones is not up to par with the older ones IMO. My suggestion would be to look for an older video head in the 12-17lb payload capacity to stay within your price range. One other thing, not that it is that much of a problem but most video heads will not pan vertical 90+/90- degrees thus you most likely will have to mount the panning handle on backwards (see photo attached) to view at the zenith. Thank you for your input. I see what you mean about being designed for a camera. After I posted, I saw a Youtube video where even a camera was behaving strangely in the altitude movement. I think my all-up-weight of OTA, diagonal, and heaviest eyepiece will only be about 5.5 lbs, if that makes any difference. I came across the Orion Tritech II head for only $40, but it has fairly mixed reviews. Another option for you is a Weifeng WF-717A they also go under a few other names. Here is a link https://www.amazon.c...H/dp/B003HNS6S0 to one on Amazon. For $50 it's not bad. There is also a video on YouTube showing how to relube it for better movement. I did that with mine and it works quite well. Should handle your planned small refractor without a problem. Thanks for the suggestion. I'll take a good look at this one, you have first hand experience and it's closer to what I was looking to spend. Now I need to find a decent tripod to pair with it. I'm hoping for something very compact for airline travel. That's what attracted me to the 15" length of the Befree Live in the first place.